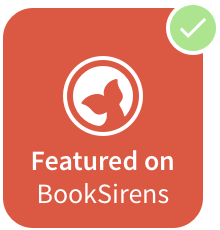 This is a story about soulmates, not where it began, but where it needs to begin: twenty-two year-old Mia pressed against the forest floor by a man shielding her from the crazed bear bellowing in her ear. This is a story about love and the power of actions over words. A story of how one day can change everything. Mia Hart’s childhood sweetheart, Robin, has been watching over her ever since his death. Haunted by the devastating incident that killed him, Mia spends three years travelling the world. Discovering the island of Utopia, a retreat in the sparkling Tyrrhenian Sea, Mia meets Zak, a dashing American musician. After a whirlwind romance, Zak asks Mia to come and live with him in the faraway Midwest. Swept up by infatuation and desperate to be free from Robin’s ghost, she accepts. Braving a move to River Valley, a small town in the American wilderness, Mia soon discovers the fairytale Zak promised her is anything but. Worried she’s made a rash decision, but too proud to leave, Mia must confront her past before she can find true happiness. Vivid, beautiful, and packed with unforgettable characters, The United States of Us is a riveting and intense tale of love, loss and letting go. 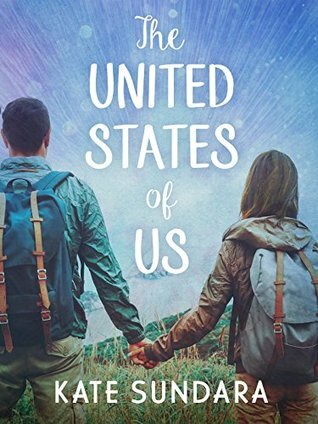 I was intrigued by The United States of Us from the synopsis and how it differed from a regular plot with a ghost in the POV line of a YA contemporary read and couldn't wait to delve in. The United States of Us struck me as one of those rare gems that you read in the year that totally surpasses your expectations and totally knocks you off your feet. It was definitely like this for me, with how intricate and beautiful the plot really was. Mia and Robin were one of those couples who could've had it all, like starcrossed lovers. Sadly, Robin died and Mia was thrown into the abyss, the memory of it unforgettable. She spent some years travelling, trying to fill the void and find herself, meanwhile not knowing that Robin was watching over her; always, keeping their connection as soulmates locked tight. When Mia is on a retreat, she meets charming musician Zak and though she keeps Robin's ghost, they share a whirlwind, rollercoaster romance that leads to him inviting her to stay with him in the Midwest. Even though she doesn't want to let go, she accepts, but suddenly there and with Zak, she starts to wonder if this life is what she wanted. . .and if this version of her vision of a fairytale is at all what she wants. Perfectly heartbreaking, The United States of Us was an epic story of soulmates, adventure and true happiness. With this story, one minute I was enraptured in the story, then saddened by the loss that Mia had been through and for Robin, torn away from his soulmate and love of his life. Although at times there was a lot going on in the story that took some time to remember what had happened previously in parts, I was totally compelled by this amazing emotional novel, the realness of it and the vivid, clear bonds of everlasting love and the pain of letting go. YA fans of Contemporary, realistic romance. Have you read The United States of Us?